So close, yet so far. How we almost eradicated feline panleukopaenia virus. Feline panleukopenia virus, also known as feline enteritis, is a deadly viral infection of cats that was first discovered more than 100 years ago. As pet owners started to religiously vaccinate their kittens and cats, the disease virtually disappeared from Australia in the mid-1970s. However, as with many things in life, when complacency sets in, evil can prevail. Reduced compliance in vaccinating has led to a big problem with a new rush of panleukopaenia cases in Sydney. If a cat catches the virus, the mortality rate is close to 100%, and even with early treatment, the mortality rate is over half. Herd immunity, however, can help our city’s cats. The concept of ‘herd immunity’ is where more than 70% of the population is vaccinated and therefore protected from catching the virus. With ‘herd immunity’, even unvaccinated animals are protected as the chance of the virus spreading is low. Currently in Sydney herd immunity has been lost as people have been forgetful with booking the vaccination or oblivious to the importance of immunising their pets. This means that now feline panleukopaenia is spreading like wildfire and is decimating cats throughout the city. The most at-risk cats are those who have a weakened immune system or live in close quarters with other cats. Outdoor cats are even at a greater risk. 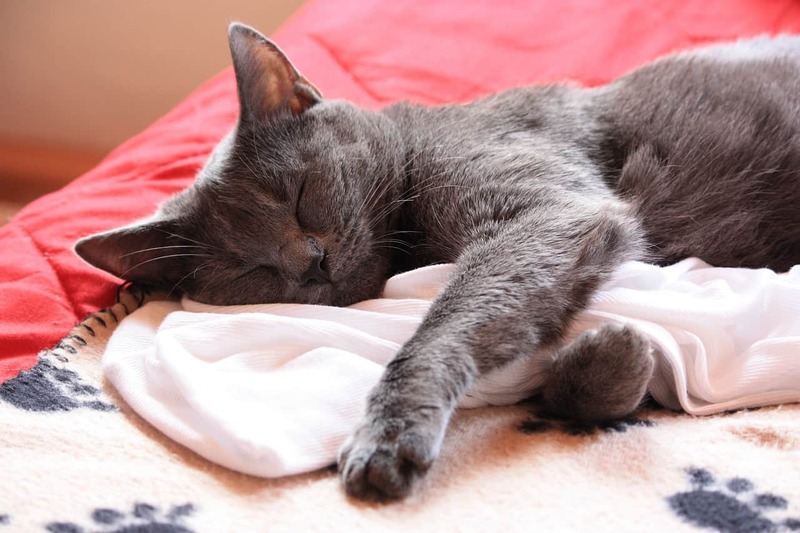 While there hasn’t been a human case of panleukopaenia, the disease wreaks havoc on cats. Immature cats are at risk of permanent brain injury and a terminal heart condition caused by the damage the virus does to the body. Older cats who catch it can end up with a severe infection of the guts, leading to sepsis and death. The F3 vaccination is cost-effective and highly effective in stopping cats from catching panleukopaenia and is recommended for all cats. Our approach at Southern Cross vet is to recommend the f3 vaccine annually to indoor cats and the f6 vaccine to all outdoor cats. In addition to the coverage, the f3 offers, our f6 treatment protects cats against FIV (a relative of HIV in people), chlamydia and leukaemia virus. To book your cat’s vaccination, click here. Southern Cross Vet is partnering with the Cat Protection Society and The University of Sydney in establishing a pop-up clinic that provides free vaccinations to the underprivileged in Sydney with the hope of re-establishing herd immunity in Sydney.